A great opportunity to join a multi-billion pound Manufacturing company founded over 125 years ago that design and produce all of their own product range, with a presence in for 40 countries worldwide and float on the stock exchange. A world known brand with in excess of 20,000 employees who are currently looking to expand their New Products and Processes team in Oxfordshire with another CAD Technician. £25000 - 30000 depending on experience, Monday - Friday 37.5hours, Pension, Healthcare, Gym Classes, Occupational Health, Childcare Vouchers, 25 days holiday + 8 bank holidays. In this role you will be required to design mechanical products and tooling for a manufacturing company. You'll sit in a department of 8 working on prototype design, samples and testing. You'll be strong on 3D mechanical design preferably in solid works. Long term you will be keen to develop further to come up with cost cutting initiatives, process improvement and develop new manufacturing processes for the companies multiple product divisions to be used across sites Worldwide. You'll work as part of a team working on projects to improve or create the design and development of new tooling and components that can increase efficiency and productivity to the production process within a metal forming environment. You'll be familiar with 3D CAD packages and will get the chance to working hands on with other engineers to produce test rigs and prototypes to develop which will create the manufacturing processes/machinery to make new products and existing products better. The ideal candidate for this role will be well qualified with either a degree or HND/C in Mechanical/Manufacturing/Process Engineering with AutoCAD experience. If you work as a CAD Technician for a manufacturing business in the area, you would be a great fit for this role. You'll have exposure on Autocad at 3D level and will have real interest in process improvement and be a real problem solver, this will be developed long term. You need to be someone who wishes to join a company which actively looks to train and develop there engineers with progression long term and truly is a great place to work. Candidates should be motivated and enjoy helping other junior engineers. You will need to have good Microsoft office skills. The company are a globally recognised brand and one of the leaders in their fields. They float on the US stock exchange and have a presence in over 40 countries, turning over in the billions, with multiple UK based sites. The company is committed to the development and training of their employees and committed to providing an exemplary level of customer service. They have an excellent work package with brilliant benefits on top of their financial package. Having visited the site myself it has a gym, huge canteen, top spec machinery and state of the art facilities. The company invests in the latest technology and are at the forefront of the newest and latest forms on electrical equipment. The role comes with a £25000 - 30000k salary depending on experience, Monday - Friday 37.5hours, Pension, Healthcare, Gym Classes, Occupational Health, Childcare Vouchers, 25 days holiday + 8 bank holidays. 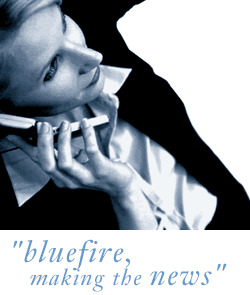 Bluefire consulting is an employment agency acting on behalf of the current company. We also pay excellent referral fees if you recommend a successful candidate to us.